This year Lajatico, from the heart of Tuscany will become the heart of everywhere in the world, showing how, thanks to art, every barrier can be broken down. On stage, languages apparently distant one from the other, will marry to give life to a ‘Canto della terra’ embracing the whole globe, offering a colorful kaleidoscope of variations – musical and choreutic – which, however, show the same roots and the same values. In addition to evoking the splendors and the wonders of Opera, this ‘Canto della terra’ immersed in the Tuscan hills, will look for further repertoires, among dances folklore popular romanzas, and songs. 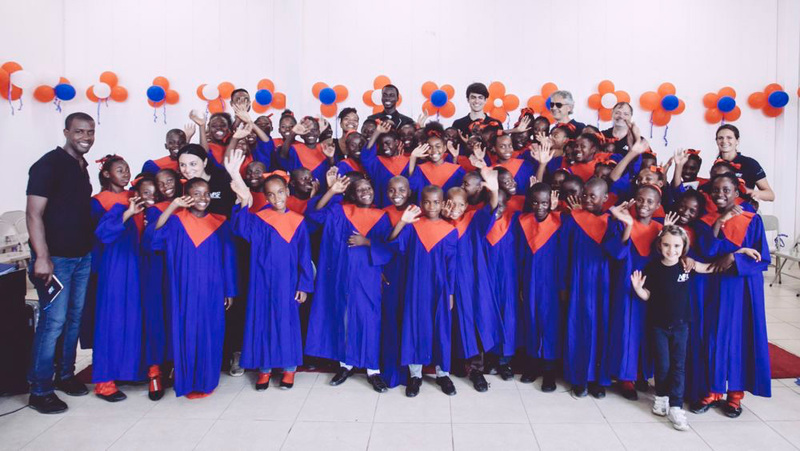 Among the guests, also the sixty young members of the choir ‘Voices of Haiti’, to give testimony of a culture and a population, distant but close to the heart of Lajatico.